I'm a little obsessed with lovely cushions at the moment. They are the perfect finishing touch for the living room or bedroom, and I adore this kitsch bee print. No Mother's Day would be complete without a perfect bouquet of flowers, Tesco have got lots of beautiful bunches to choose from. And of course you'd need a gorgeous vase to put the flowers in! I really love the current trend of jug style vases, especially the rustic look. I spotted the new Deliciously Ella Every Day book in the shops the other day, she has some fabulous recipes which I'm eager to try out. As a keen cook I keep meaning to buy myself an apron as I'm always getting covered in little spills, this one is lovely. And finally, I love this little teacup and saucer set. You can't beat a good cup of tea, such a simply pleasure. It's the little things that bring the most joy! 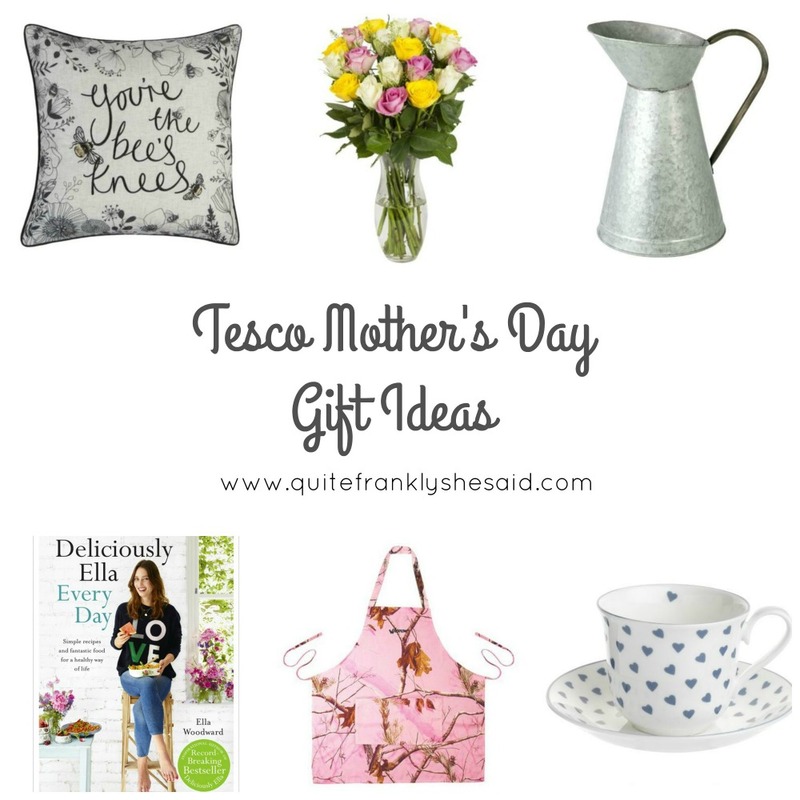 Tesco have got lots of present ideas for spoiling Mum this weekend, so do pop over to take a look. And let me know how you're spending Mother's Day in the comments below! *This is a collaborative post with Tesco.